DentaLife gets dogs chewing to clean even the hard-to-reach teeth and delivers a breakthrough clean that’s scientifically tested to reduce tartar build-up. For clean teeth throughout a long, healthy life together, choose DentaLife. For Life. 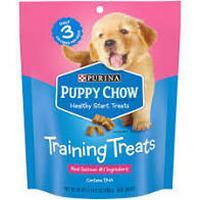 I always buy Purina products. They are very good.